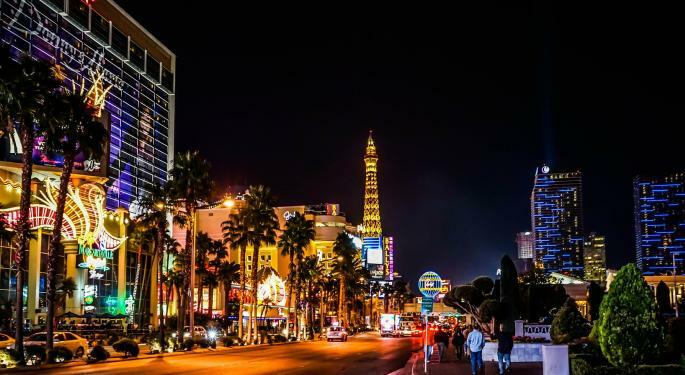 On Thursday, the Nevada state gaming control board released its report on gaming revenue for the Las Vegas area in the month of June. Nevada’s non-restricted gaming licensees reported a total taxable revenue of $893.7 million in June, a 4.4 percent year-over-year increase. Statewide revenue is now up 3.3 percent over the past year. More than $495 million (about 55 percent) of Nevada’s statewide gaming revenue in June came from the Las Vegas Strip. Shareholders of strip mega-resort operators Wynn Resorts, Limited WYNN 2.93%, Las Vegas Sands Corp. LVS 0.15% and MGM Resorts International MGM 2.27% are watching Strip numbers closely. Taxable revenue for the Vegas Strip was up 8.3 percent year over year in June and is now up 3.8 percent overall in the past 12 months. Despite solid numbers from the Strip, historic Downtown Las Vegas once again outpaced the Strip in June, delivering 10.1 percent revenue growth. In the past 12 months, Downtown Vegas taxable revenue is up 9.1 percent, the strongest growth number of any region in the state. Shares of Boyd Gaming Corporation BYD 1.83% 1.56 percent, which operates three downtown casinos, are up 35.8 percent in the past year.